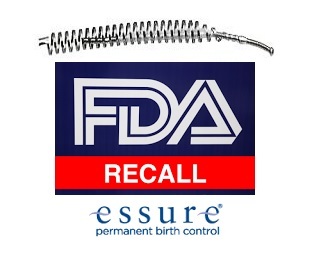 Notice: It was announced on July 20, 2018 that Bayer will halt sales of the Essure product on December 31, 2018. In truth this device should have never gotten to market. The FDA needs to "RECALL" the device, which would provide a means for all women who have had the device inserted to have it removed. Why is Bayer waiting until December 31, 2018? 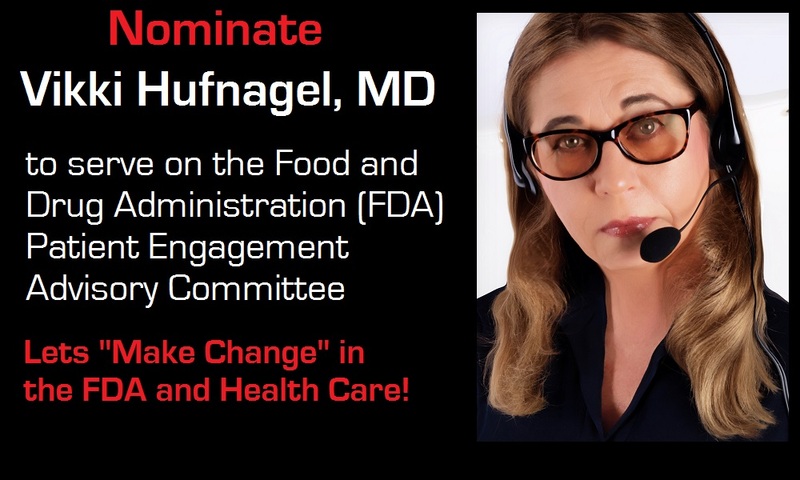 Why is the FDA allowing this? How many more women will become another victim between now and then? 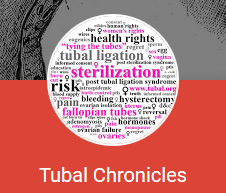 www.Tubal.org (CPTwomen) is the first to educate women about post tubal ligation syndrome (PTLS), Post Sterilization Syndrome and to expose the politics of the female sterilization informed consent issue. Please Help Keep this Website Active! On 9.24.15 the CPTwomen Wikipedia page, in an act of vandalism, was deleted just hours after Dr. Vikki Hufnagel, MD gave testimony to the FDA regarding the Essure birth control product. Some women report after tubal sterilization having at times the sensation of a flutter or kicking. 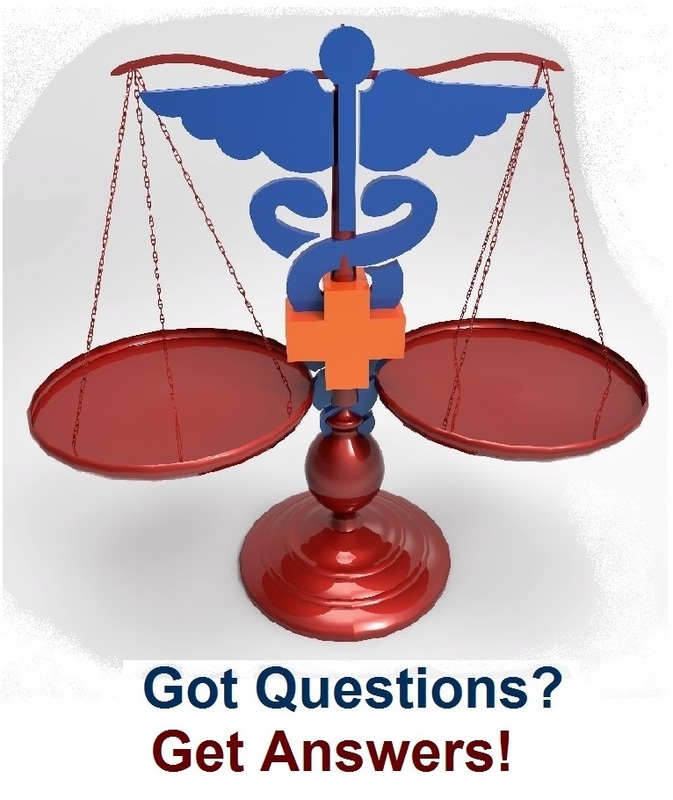 Compare Cost of Lab Tests, Blood Tests & Hormone Health Panels. Were you told that tubal ligation or salpingectomy protects you from ovarian cancer? Watch this video! Are you from Texas? Watch this video! Wondering if you had full informed consent? Watch this video! 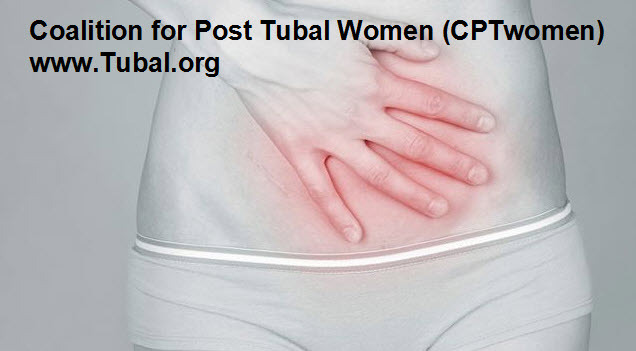 The Coalition for Post Tubal Women (CPTwomen) advocates for women’s health rights. We work to educate women and the public of the "late sequelae" side effects of tubal ligation and of all types of female sterilizations which are collectively known as "Post Sterilization Syndrome" (PSS) aka "Post Tubal Ligation Syndrome" (PTS) or (PTLS). There are thousands of websites, doctors, and organizations that explain, promote, and provide sterilization and the tubal ligation procedure, but only here will you find what doctors don't tell you about tubal ligation (and female sterilization) and women working together to create change. Tubal ligation, female sterilization, medical devices and treatments which affect the fallopian tubes for the purpose of birth control are conceived to be permanent non-reversible forms of birth control. 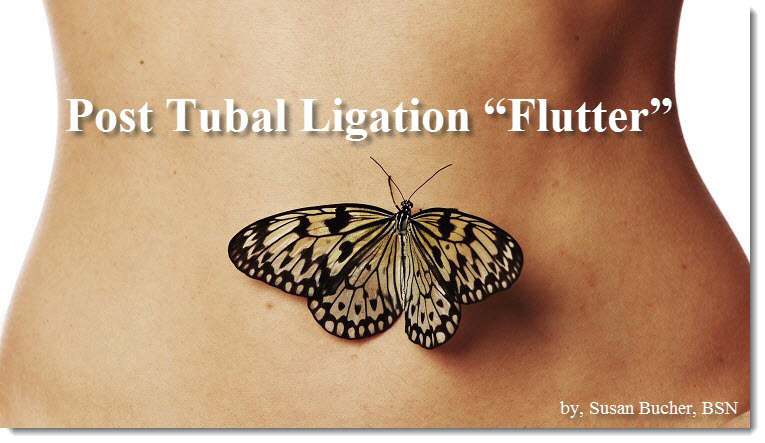 Tubal Ligation (TL), sometimes called tubal sterilization, female sterilization or “tying the tubes”, is a surgical procedure in which a physician seals shut a woman’s fallopian tubes. This is done surgically using coagulation (burning the tubes) (pomeroy or modified pomeroy ligation, bipolar cauterization of the tubes, or monopolar cauterization of the tubes), or by using a medical devise such as a clip (Hulka or Filshie Clip), a ring, a band, or an Ovalastic, Ova Bloc, Adiana, or Essure type product to seal shut or block (obstruct) the fallopian tube. 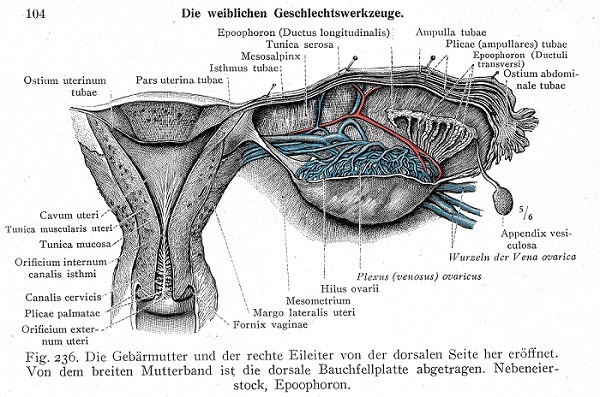 Other methods of sterilization includes bilateral salpingectomy (removal of both fallopian tubes), fimbriectomy (removal of fimbrial and infundibular portions of the fallopian tube), hysterectomy (removal of the uterus), and using chemicals such as Atabrine or Mepacrine (also called quinacrine) which are placed into the uterus in pellet form then dissolve and scar the fallopian tubes causing the tubes to seal shut. Female sterilizations are performed during pelvic surgery, cesarean section (c-section), and by laparoscopy (aka minilaparotomy or “minilap”) while non-surgical (no cut) permanent birth control (PBC) sterilizations are performed using a hysteroscope (hysteroscopy). 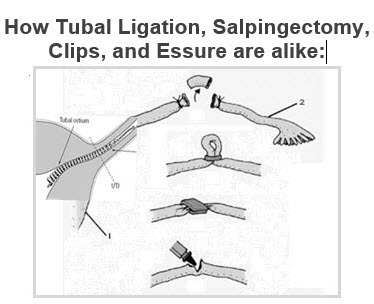 Tubal ligation and female sterilization (Essure, clips, etc.) 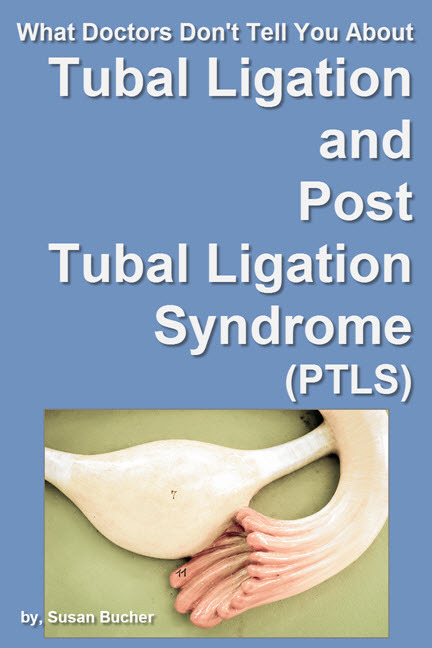 can cause a sequela (late sequelae) (negative health condition) outcome called "Post Tubal Ligation Syndrome" (PTS) or (PTLS) aka "Post Sterilization Syndrome" (PSS). When a medical device is used to perform the sterilization (clips, Essure) the device can cause a “Post Implant Syndrome (PIS)”. 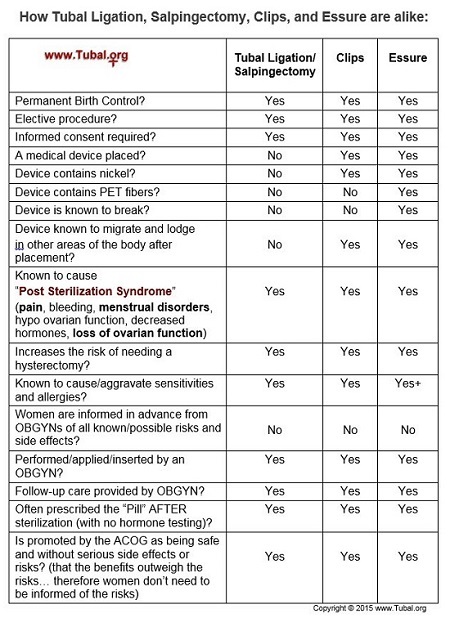 All forms of female sterilization have known and potential negative side effects (late sequelae) which women need to be informed of prior to consenting to sterilization. For example, women need to be informed that female sterilization can cause hydrosalpinx (1) (2), fallopian tube torsion, and adnexal torsion causing pain. Female sterilization can also cause the condition of adenomyosis and pelvic congestion syndrome which manifests as pain and dysfunctional uterine bleeding (DUB) which may require surgical remedies or complete hysterectomy to correct excessive bleeding. Also important to understand is female sterilization/tubal ligation procedures can affect the blood supply to the ovaries causing anovulation (ovaries failing to normally function or to ovulate), premature ovarian failure (POF), or surgical menopause (female castration). 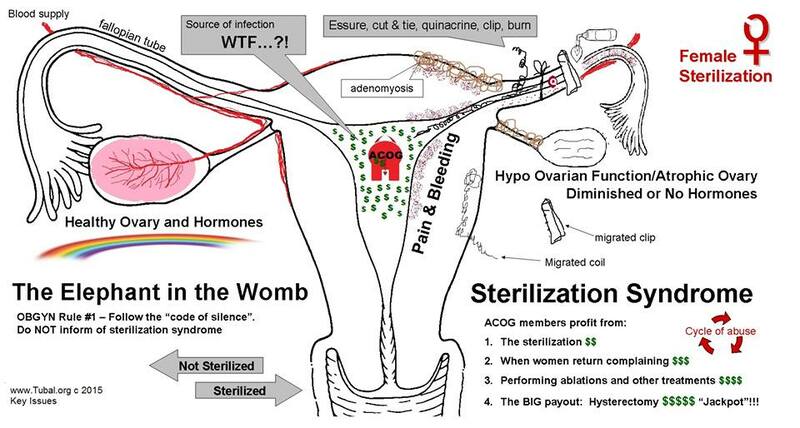 Just because ovaries are present after tubal ligation, female sterilizations (Essure, filshie clips, etc. ), salpingectomy, and in the case of hysterectomy with ovarian conservation/preservation does NOT mean they will continue to function as before. Negative physical side effects of female sterilization have been known by medical professionals since the 1930’s but publicly the information was withheld from women and the masses (possibly because of the social nature of the procedure). The photo above is from a medical text book from 1931. For women who had a tubal ligation or have been sterilized, learning about post tubal ligation syndrome (PTLS) or post sterilization syndrome (PSS) after the fact can be harrowing and upsetting, but we believe that receiving information and support to be consoling and empowering. One thing that all women state when learning this information is they are happy to have received the information but “wished they had this information before their sterilization”. 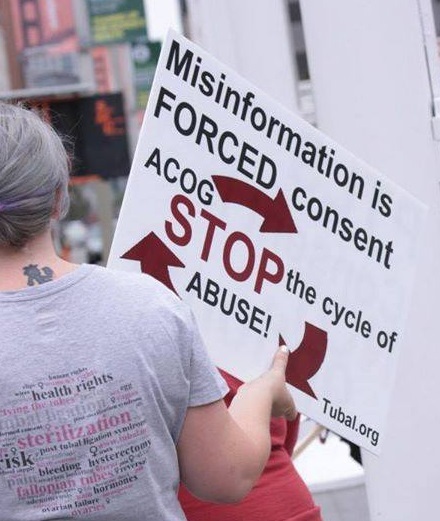 The Coalition for Post Tubal Ligation Women is working to put in place informed consent laws that would make it mandatory for doctors to inform women of the known and potential side effects of sterilization before women consent to the surgery, procedure, or treatment. The CPTwomen Tubal Ligation/Sterilization Outcome Health Research Study is a ground breaking research study that looks at health and other outcomes after female sterilization (tubal ligation, clips, Essure, etc…). It is the first and only research study of its kind which is independently supported by and examines first person reports by women who underwent sterilization. Open enrollment: All women aged 18 years or older who have undergone any type of female sterilization (surgical procedure or placement of a medical device/product on or in the fallopian tubes) are invited to take part in this research study. All women are encouraged to reply. The type of sterilization does not matter. Women who have had a “tubal reversal” or Essure reversal are also invited to take the survey as health and outcome after reversals are also analyzed. The research study looks at health before and outcomes after female sterilization or tubal ligation, satisfaction with the sterilization procedure (or product), and satisfaction with the consent process and medical claims which were made in advance of sterilization. First-person reports of sterilization outcomes can give valuable information about the iatrogenic effects and late sequel of sterilization, as well as changes potentially required to the public presentations and consent procedures presently offered by physicians and surgical centers. ALL women are invited to participate in this study. 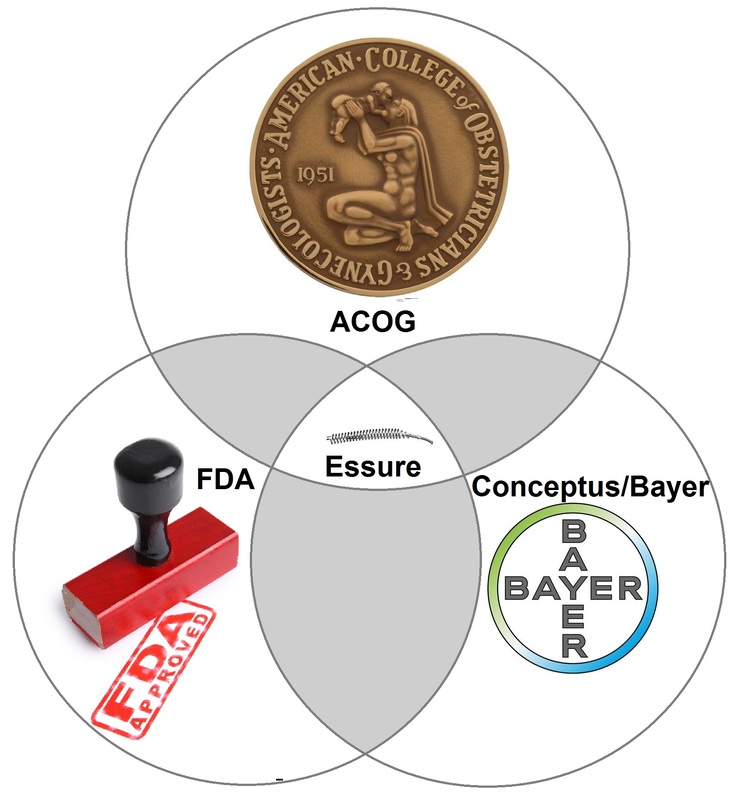 The Essure lawsuit states the manufacturer and seller of Essure hid evidence from the Food and Drug Administration (FDA) of various risks associated with the Essure birth control device in order to get government Premarket Approval, and has since failed to properly warn patients and physicians of the true risks with Essure. This bill requires the Food and Drug Administration to withdraw approval for Essure, a medical device for permanent, non-surgical female sterilization. 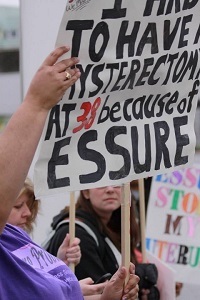 Essure: Who is responsible for the E-Hell? 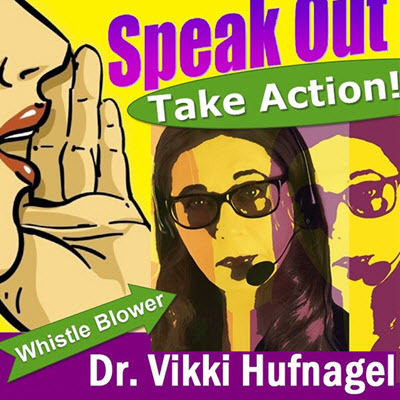 Dr. Hufnagel's "Essure Position Papers"
The CPTwomen works on issues pertaining to women's civil and human rights for informed consent for tubal ligation, Essure, and all issues of women's reproductive health rights. As an official WomensMarch.com "Partner", we attended the march in Washington on January 21, 2017. We march for women's health rights, reproductive rights, equality and justice for all women on all matters. "Education is Key"! When information is withheld and omissions occur consent is NOT given. This non-consent creates a cycle of abuse. When consent is not given, BATTERY occurs. The CPTwomen is NOT anti-tubal. We believe that tubal ligations should be made a choice to all women as a form of birth control but with FULL consent. What we are is anti-doctor/ACOG/the medical community withholding informing from women in order to force consent. 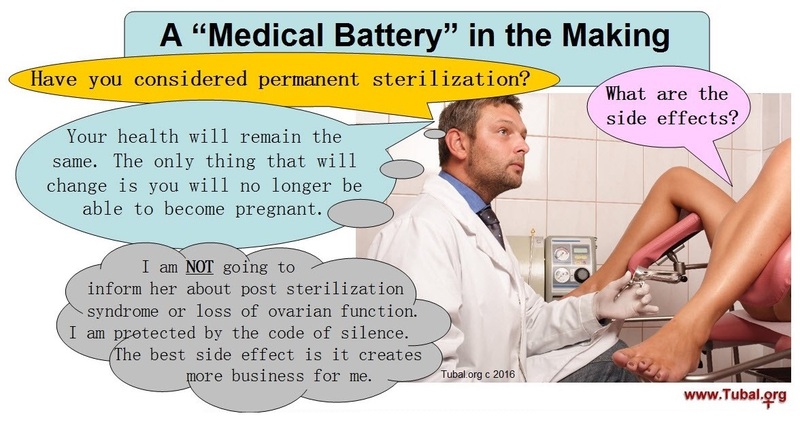 Until laws are created to protect women and ensures women are fully informed and educated of ALL the known and possible risks of female sterilization (including the risk of loss of ovarian function), ALL women who are sterilized will be a victim of battery. Currently women are at risk of losing civil rights and health rights accross the board. Get the Book! Order Now! This book was written and published in 2002. 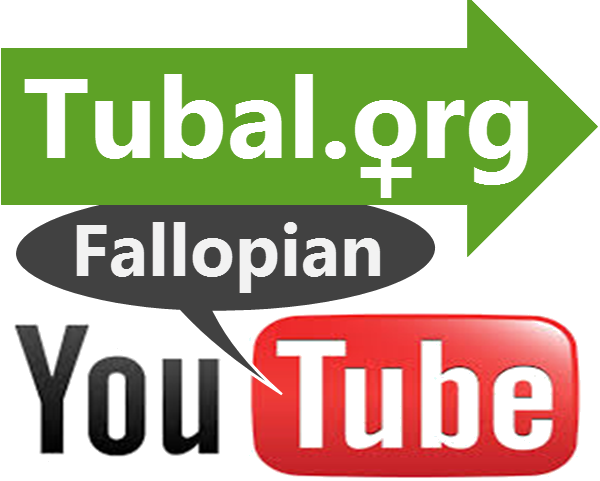 It is a collection of articles and information about tubal ligation. It contains information about side effects of tubal ligation known as post tubal ligation syndrome (PTLS or PTS), information about the history and politics of eugenics, birth control, tubal ligation, and population control. 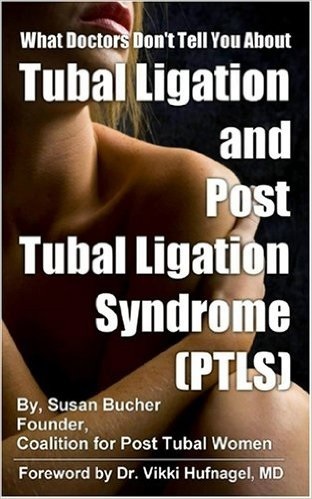 While some women reading this book will turn directly to the sections outlining the causes and symptoms of post tubal ligation syndrome and its treatment and cures, it is important for women to understand how we came to this point in history where women and the public are not informed of the possible side effects of tubal ligation and female sterilization. We also must consider what can be done so that history does not repeat itself. It is my hope that this book will not only help educate women and men about PTLS but to also move people to act to cause change. Providing a copy of this book to your doctor or to your state representative may cause them to change how they inform and treat their female patients or to understand that an informed consent law is urgently needed. 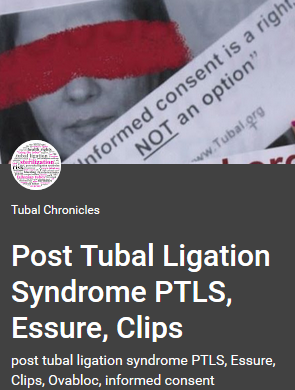 Join us at the new Private Facebook group hosted by Susan Bucher, BSN - Discussing Post Tubal Ligation Syndrome (PTLS) and "Informed Consent" issues. 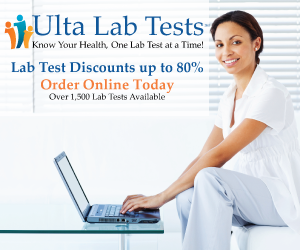 Click here for more information about direct to the customer (DTC) lab testing and the Lab Test Price Comparison Chart. Anti Müllerian Hormone (AMH) is useful in evaluating ovarian function because levels decline as ovarian function declines. AMH levels are low to undetectable in female infancy and after menopause. Low levels of AMH in a woman of reproductive age (under the age of 40) indicate ovarian hypofunction or “early menopause”. AMH levels do not vary greatly throughout the menstrual cycle so they can be measured on any day of the cycle. AMH is not altered or influenced by birth control pills or pregnancy. A decrease in AMH can be caused by increasing age, obesity, chemotherapy/radiation, hysterectomy and by “tubal sterilization”. 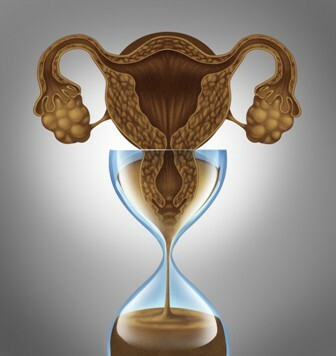 Just because ovaries are present after tubal ligation, female sterilizations, salpingectomy, and in the case of hysterectomy with ovarian conservation/preservation does NOT mean they will continue to function as before. Were yo put on the “Pill” AFTER your sterilization (or a *hormonal IUD)??? This is a RED FLAG!!! 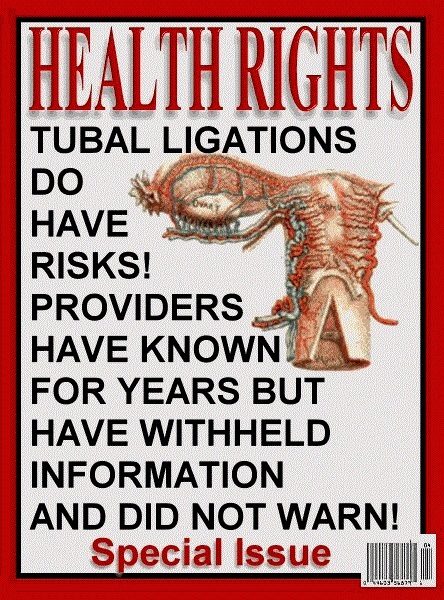 There are risks associated with female sterilization (tubal ligation, Essure, Filshie clips) that women and the public are NOT informed of. Key information which is omitted and withheld by OBGYN physicians includes increased risk for hysterectomy and the risk of female castration (loss of ovarian function which can lead to “hormone shock”). 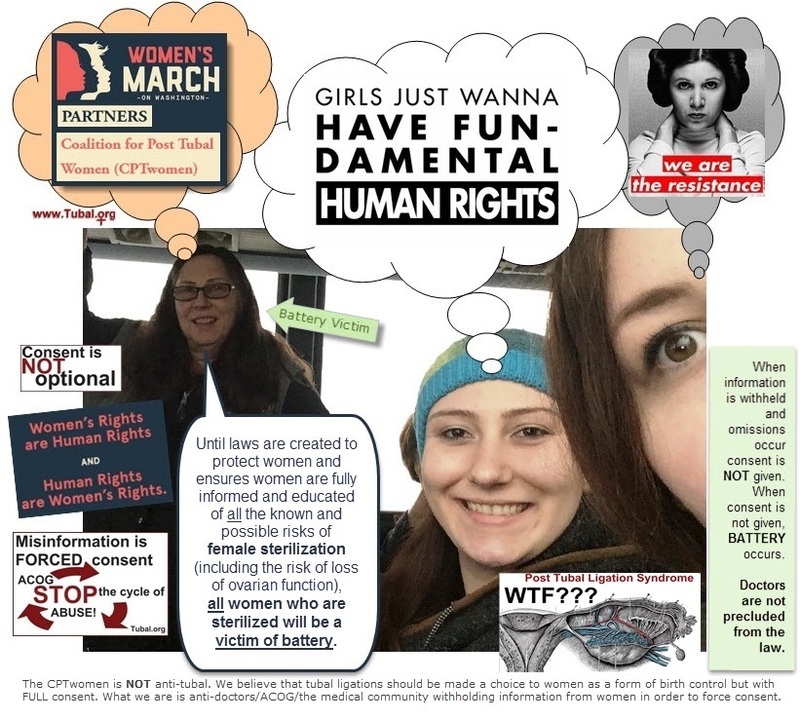 These omissions by OBGYNs to women when consenting to sterilization are technically a “breach of the duty of disclosure” and become a criminal act of battery at the time of sterilization. The primary focus here is women’s health, women’s rights, informed consent, and how the lack of consent equates to physical battery and medical battery. Informed Consent or Forced Sterilization? Does anyone really give true “consent”??? Informed consent means the knowing consent of an individual (or their legally authorized representative), so situated as to be able to exercise free power of choice without undue inducement or any element of force, fraud, deceit, duress or any form of restraint or coercion. 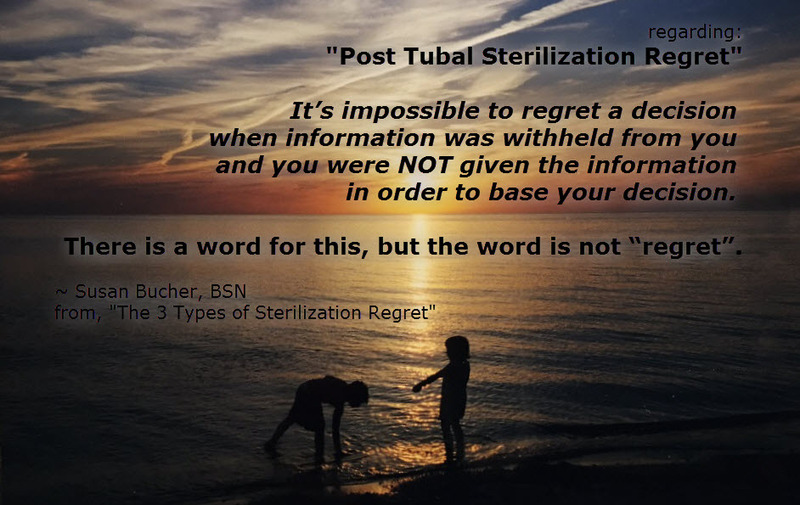 One side effect that women are universally informed of as being a possible risk of female sterilization and tubal ligation is that of “regret”. This side effect is psychological in nature. “Regret” is commonly referred to by the medical community to mean later wishing you could have more children. Tubal ligation, salpingectomy, clips, and Essure permanent birth control are all considered to be “elective” and require “informed consent”. They all can cause post sterilization syndrome, pain, bleeding, menstrual disorders, hypo ovarian function, decreased hormones, and total loss of ovarian function. OBGYNs often prescribe the “Pill” to women AFTER they are sterilized wthout first hormone testing. 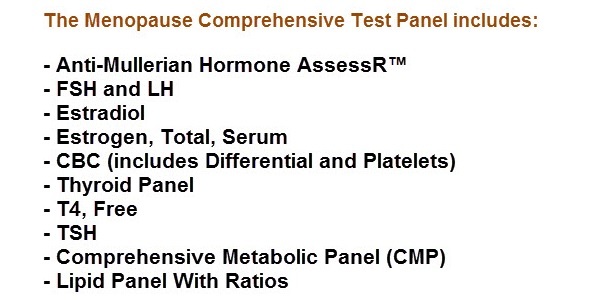 The only way to know if a woman has a hormonal imbalance is to be hormone tested. 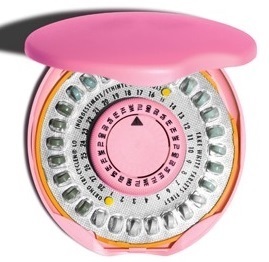 If hormones are needed, other hormone treatments are more appropriate and safer then the pill. The ACOG and all OBGYNs know this. The birth control pill is designed for young women with normal hormone production (and normal hormone levels) to prevent pregnancy…. NOT as hormone replacement therapy (HRT) for a woman depleted of hormones. Taking the birth control pill puts a woman at risk of stroking out. This risk increases with age, smoking, and high blood pressure. Post sterilized women are also sometimes given a hormonal IUD. Hormonal IUDs also carry risks such as heavy bleeding, severe cramping and vaginal inflammation. 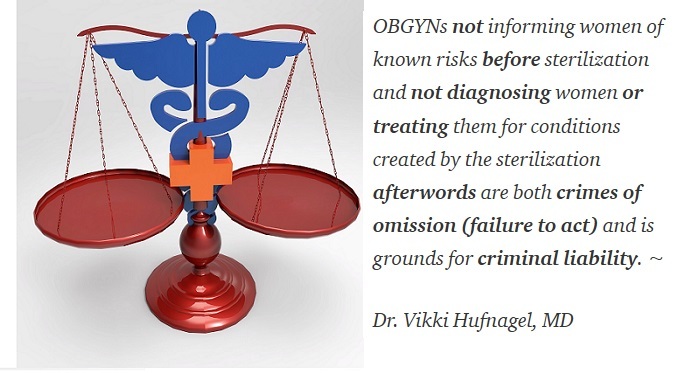 Crimes of “Omission” occur by OBGYNs during sterilization consent and follow-up care which creates a “Cycle of Abuse”. Learn Why Post Sterilized Women are given the “Pill”... (and sometimes an IUD) !!! 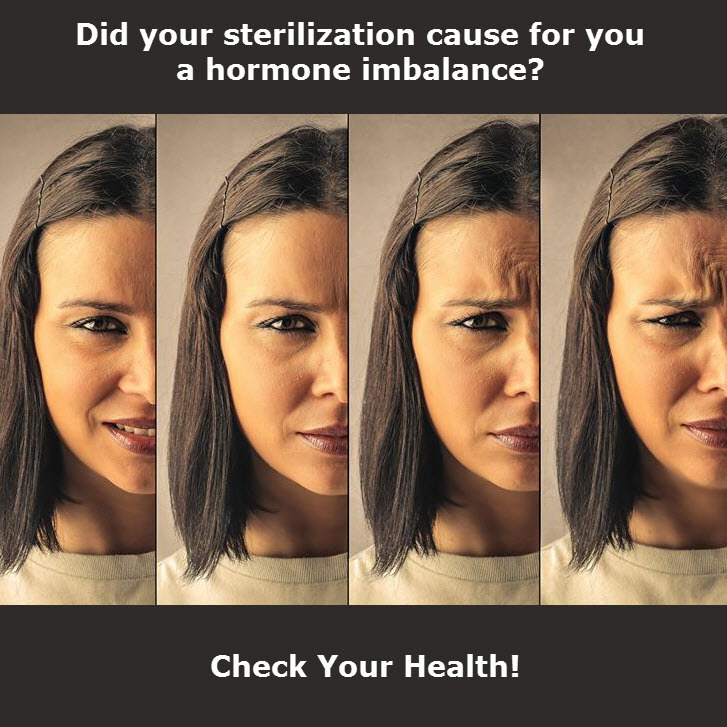 Female sterilization is known by OBGYNs to cause hormonal imbalances. Through a code of silence this information is withheld from women and the public at large. Many post sterilized women who return to their OBYGNs complaining of symptoms of post sterilization syndrome (bleeding, irregular cycles, etc...) are prescribed the “Birth Control Pill” (and sometimes a *hormonal IUD) without first being hormone tested. This could be construed as a “omission” leading to battery as the doctor is prescribing the ”Pill” to treat a condition which is NOT diagnosed (without hormone testing it’s not known if hormones are needed). 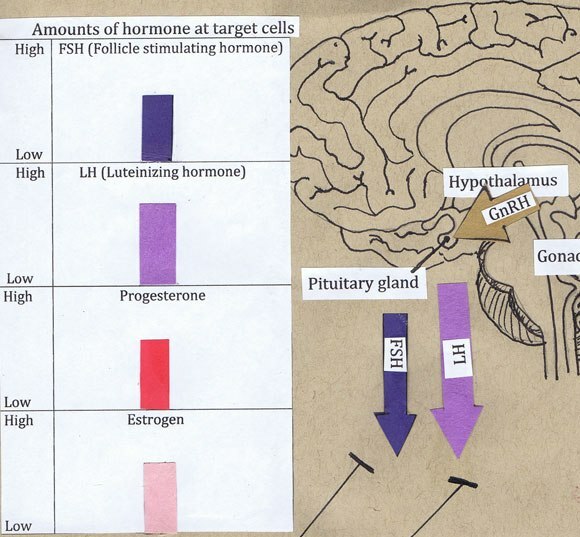 The only way to know if a woman has a hormonal imbalance is to be hormone tested. If hormones are needed, other hormone treatments are more appropriate and safer then the pill. The ACOG and all OBGYNs know this. The birth control pill is designed for young women with normal hormone production (and normal hormone levels) to prevent pregnancy…. NOT as hormone replacement therapy (HRT) for a woman depleted of hormones. Taking the birth control pill puts a women at risk of stroking out. This risk increases with age, smoking, and high blood pressure. 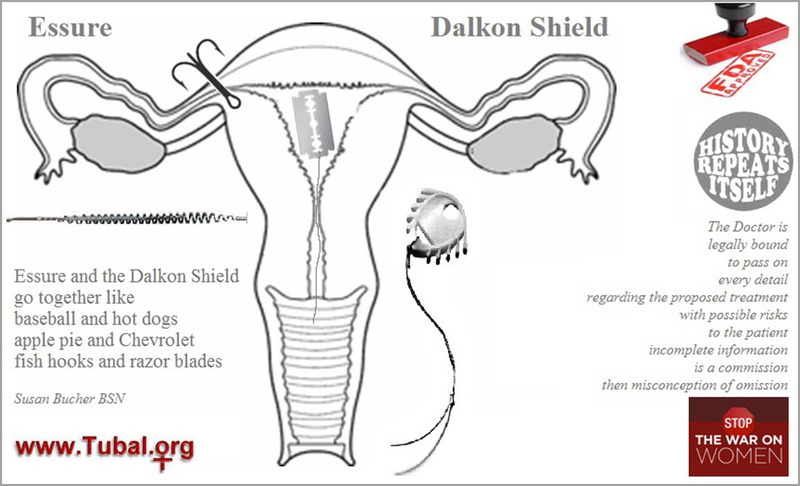 Hormonal IUDs also carry risks such as heavy bleeding, severe cramping and vaginal inflammation. Women's March on Washington 2017 - We march for women's health rights, reproductive rights, equality, and justice for all women on all matters. "Education is Key"
Get Answers, Obtain your own Legal Prereview, Speak out! Female anatomy: uterus, fallopian tubes & ovaries "T-Shirt"
Fun female anatomical t-shirt. The imprint is from a 1940’s vintage anatomical medical diagram showing the human female uterus, fallopian tube, and ovary reproductive tract and blood supply. A wonderful anatomy illustration. Summary text is in German but as they say, “a picture is worth a 1000 words”. Obtain your own Legal Prereview, Speak out! You can watch No Mas Bebes online for free from PBS until February 22. Order your own Hormone Tests! The Outcome Survey is Specifically for Women who have been Sterilized. If you or someone you know has been sterilized please spread the word and participate in the survey! All women are encouraged to reply. The type of sterilization does not matter. Handmade lampwork glass focal bead by Susan Bucher, founder of the Coalition for Post Tubal Women (CPTwomen). The title of this e-Bead is "Perforation" Bead pays tribute and homage to the victims of Essure. Inclusion in the glass bead is a spring wire, symbolic of the Essure permanent birth control device. The resilient yet fragile glass bead is symbolic of women. The inclusion of the wire into the bead causes the glass to react with bubbles which is symbolic of the inflammation that the device causes. 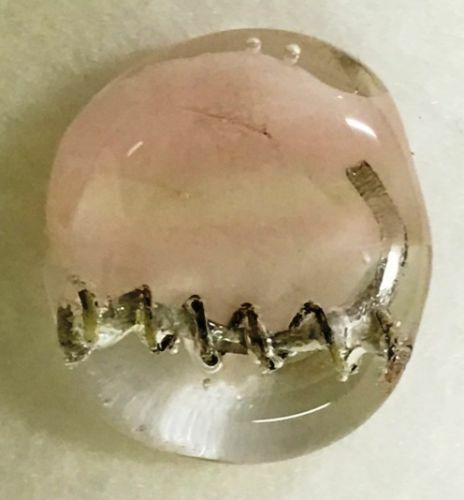 The only way the wire could be removed from the bead would be to shatter and destroy the bead; symbolic of the hysterectomies, cycle of abuse, devastation and mayhem the Essure device has waged upon women.